Copyright ©2001 by Paul Niquette, all rights reserved. Quoting from yesterday's obituary: "John Wilder Tukey, one of the most influential statisticians of the last 50 years and a wide-ranging thinker credited with inventing the word 'software' [citing a 1958 article in American Mathematical Monthly], died on Wednesday in New Brunswick, N.J. He was 85." Be advised, I coined the word 'software' in October 1953. For the past four months, I have been gathering documentation and reports of witnesses to support my claim. If further informaton is required, please do not hesitate to contact me. he immediate effect of the Tukey obituary upon my "adventure" was to cut off the Search Interval for authenticating my claim, at January, 1958. But of course, I began thinking about all those inquiries I had launched, hoping to contact surviving TRW colleagues, all those phone calls to old friends, all those follow-up letters and messages. Get real, I told myself. Unless datable no later than the end of 1957, any Established Stories thus obtained would be worthless. must be certain that the incident was the first time he or she had heard the word 'software' -- this despite intervening decades of hearing and reading, saying and writing the word 'software'. It does not take a statistician of the calibre of John Tukey to assess the joint occurence of such unlikelihoods. ne student and close friend, Rig Currie, did act on my behalf by writing an e-mail to another student, Ray Stanish: "I hope you remember the precise date of his use of the word 'software.' Would you please just lie if it's not perfectly clear. It would make Paul a happy man to have one reliable witness. The rest of us have brains too fried by alcohol and dirty thoughts to have room left to even lie effectively." The appeal was unavailing. So much for Established Stories, the third and last search. October of 2000 marked the end of the softword project. There would be no entry in OED or any other dictionary giving me credit for coining the word 'software'. It was for such a moment that the s-word was invented. The four-letter one. hree years went by. A few replies trickled in from friends and family. 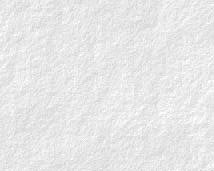 The Softword page on my website just sat there endlessly proclaiming itself to be a work-in-process, occasionally drawing correspondence from near and far. Most notably was Fred Shapiro, the library scientist who achieved worldwide acclaim for discovering the 1958 reference cited in the Tukey obituary. He wrote from time to time hoping to sell me his free-lance services perusing magazine morgues. There can be little doubt that the years 2001 through 2003 will be characterized by future historians as global downers. Still, in that hiatus I found many cheerful distractions. I published the Internet versions of two books, A Certain Bicyclist and Squawk 1200, added a dozen entries in Puzzles with a Purpose, and launched yet another new career -- number eighteen since 1953, by my count. My life trajectory has been nothing but discontinuities, it seems. Wait just a damn minute. Forget sentimentality. I have a challenger! There is no denying his eminence. Biographical sketches and tributes abound on the Internet. John Wilder Tukey's formal work fills volumes, shaping statistical analysis. He has served in prestigious posts at all the top venues, including Princeton, Bell Telephone Labs, and performed a number of major consulting assignments, including Educational Testing Service, Merck & Co., and, ironically, Xerox, where I faintly recall meeting the man in the '70's. In the 1950s, he publicly criticized Alfred C. Kinsey's research on sexual behavior as being seriously flawed because it relied on a sample of people who knew each other. Professor Tukey said a random selection of three people would have been a more representative than a group of 300 chosen by Kinsey. In the 1970s, Professor Tukey was chairman of the research committee that warned of the damage to the earth's ozone layer caused by aerosol spray cans. In the 1990 Census, he recommended the use of statistical formulas in order to count poor urban residents whom he believed had been missed. Why did John Wilder Tukey go to his grave without actually claiming the invention of the word 'software' 42 years earlier? John Tukey (1915-2000) was a contemporay of my father, Reaman Niquette (1913-2002). 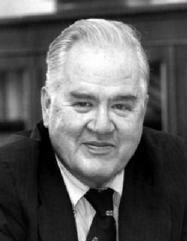 Over a period of three years following his death, John Tukey has become an admired friend of mine. That is not meant facetiously. I am embarrassed to admit this, but while studying his life and his work, I have heard myself in simulated conversations with Tukey. "Excuse me, John, but I just don't think you got it!" He looks at me from his picture there and shrugs, "You want credit for the word 'software'? Be my guest." The editors of OED will doubtless accept that conversation as evidence of my eccentricities more than for authentication of my claim. There is no evidence that Tukey ever declined the acclaim to which he was entitled. Nevertheless, from all I have seen, for decades after 1958, Tukey manifested total indifference to the word 'software,' arguably the most important new word of the 20th Century! Editors of any dictionary, especially the OED, would have eagerly glommed on to documentary evidence for the origin of such a far-reaching entry and would have been thrilled to publish that 1958 citation from so eminent and colorful a figure of the Twentieth Century. Moreover, it goes without saying that for his formal writing, Tukey would never have chosen to have his work published anonymously. The OED protocol, however, now casts Tukey in the role of a posthumous claimant. That makes him a challenger to my claim. Thus, after three years, I became tempted beyond my powers to resist. I set about to demystify John Wilder Tukey's reluctance. Tukey was also a great wordsmith: he coined the terms bit, byte, software and cepstrum, (the Fourier transform of the logarithm of the Fourier transform). But some of his kookier coinages, like quefrency (for cepstral frequency) and saphe (for cepstral phase) didn't catch on. 1964 Blaauw & Brooks in IBM Systems Jrnl. III. 122 An 8-bit unit of information is fundamental to most of the formats [of the System/360]. By the way, as the word 'bit' caught on, some computer scientists became indignant. They saw Professor Tukey as an outsider. "Not everyone was happy that he was naming things in their field,'' said Steven M. Schultz, a spokesman for Princeton. That complaint is not justified, in my opinion. Computer scientists have been singularly uncreative in naming things, beginning with 'computer science' itself. And 'bit' is as well suited to communications as to computers anyway. Meanwhile, Tukey's neologisms within his own field ('cepstrum,' 'quefrency' and 'saphe') do not appear in the OED, but then neither do some of mine. Today the "software" comprising the carefully planned interpretive routines, compilers, and other aspects of automative programming are at least as important to the modern electronic calculator as its "hardware" of tubes, transistors, wires, tapes and the like. Given the formidible practicality of software to do things not just help programmers write programs to do things; given the manifold impacts of software upon all aspects of human work and achievements, of life and now even of play; given the astounding realities of software, which among all of mankind's creations is uniquely indestructible -- given all those amazements, where is the grandeur in Tukey's 1958 statement? There isn't any, only a routine declarative-in-passing. Today the "appliance" (of electricity) comprising the carefully crafted numerical control machines, automatic milling machines, progressive-die punch-presses, industrial robots, conveyor belts, and other implements are at least as important to the modern toolmaker's trade as the "workshop" of bench, floor, walls, files, drill-bits and the like. Um...what about radios and reading lamps, vacuum cleaners and ventilating fans, washing machines and water pumps, central heating and air conditioning, garage door openers and clothes dryers, elevators and escalators, televisions and videos? Things, not just the means for making things. Readers may have noticed my deliberate practice in this work of using single quotes to set off the word 'software' from software itself. The reader is invited to notice Tukey's use of the double quote around "software" in a sentence in which software -- not the word 'software' -- was being described. By convention, double quotes indicate that somebody is being quoted. Oh sure, double quotes can also be used to denote sarcasm (The "non-toxic" effluvia from that plant is killing my begonias), but sarcasm seems unlikely for the case at hand. Accordingly, those double quotes do not make sense in that sentence -- unless somebody is being quoted, which, if I prevail with my claim, is a distinct possibility. It is an unmistakable fact that the double-quoted "software" was being taken for granted by Tukey, much as the double-quoted "hardware" in the same sentence. Both receive suffixed explanatory passages, suggesting that in Tukey's mind, a 1958 reader would not have otherwise known what "software" means -- but then, what about the double-quoted "hardware"? If indeed this "momentous" sentence (sarcasm intended) is to be credited with bringing the word 'software' into the English language, then one might be forgiven for expecting a prefixed phrase of the form, "What I call 'software'..."
s it not clear by now that the protocol used by OED for accreditation is anomalous? Publication of a word is not the same as coining a word. There is no denying Tukey deserves credit for the former, and he may indeed deserve credit for the latter, but where is his claim? That off-hand sentence in the 1958 citation could well have been written years after the first use of the word 'software', which is my assertion exactly. The way I see it, after decades of historical developments facilitated by software -- the worldwide emergence of what I call 'The Software Age' -- John Wilder Tukey ignored the immense implications of the word 'software' decade after decade and went to his grave knowing that he was merely using an established word. So then, who really coined the word 'software'?